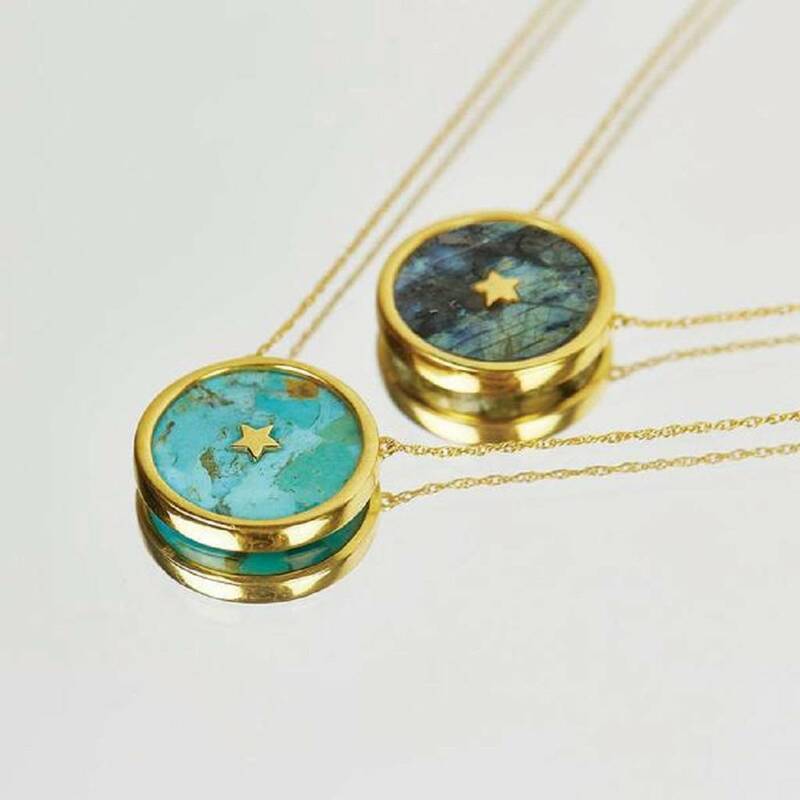 Prepare to be mesmerised by our stunning Night Sky Pendant! 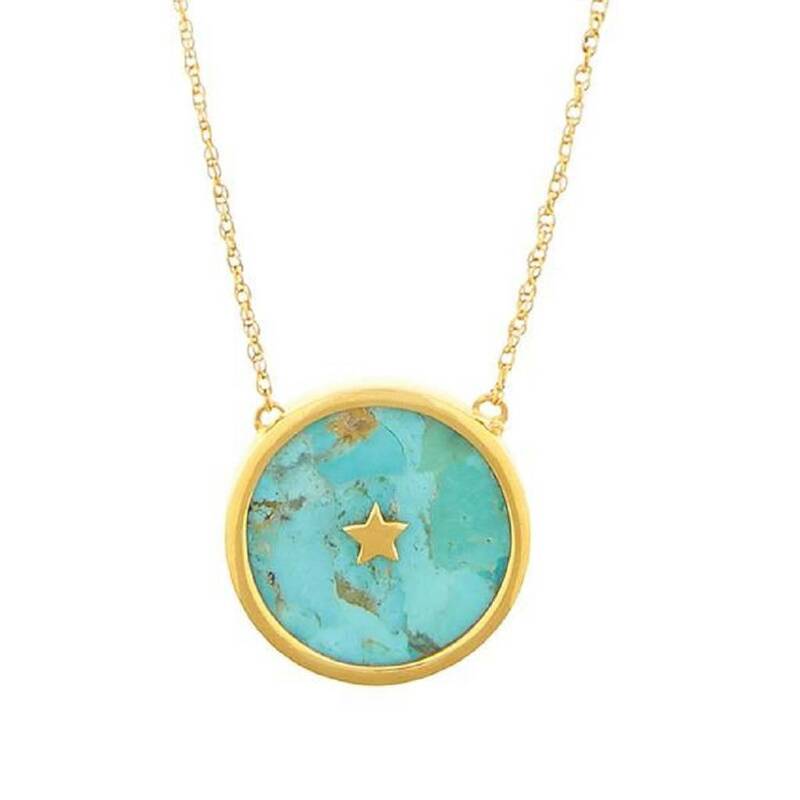 Our 14k Gold Vermeil pendant holds a stunning flat polished labradorite or turquoise stone with a tiny 5-point 14k Gold Vermeil star twinkling brightly in its centre. 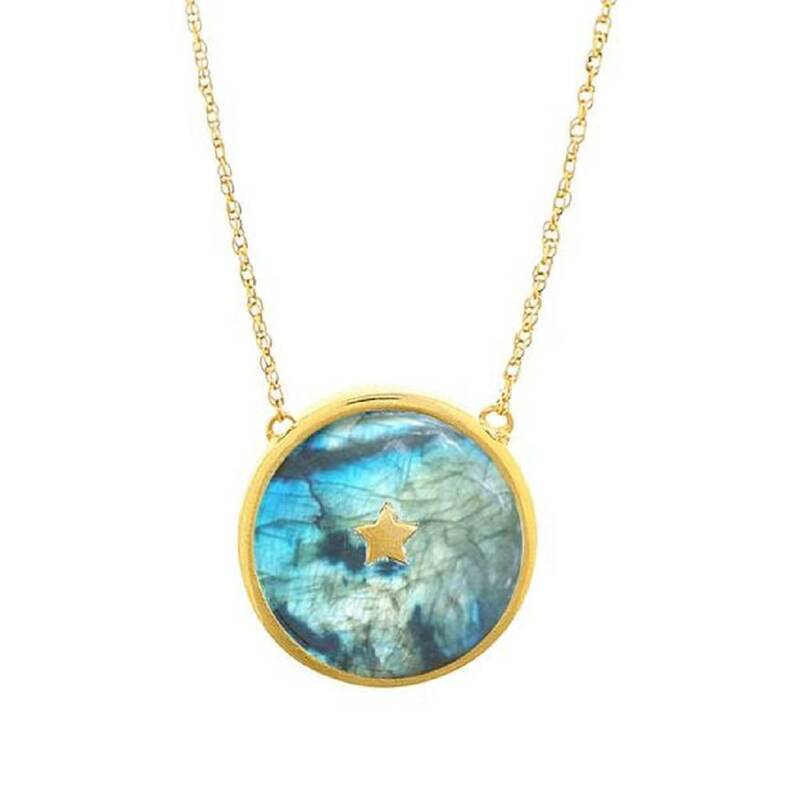 The magical labradorite stone refracts light in iridescent flashes of peacock blue, gold, pale green and coppery red reminiscent of a spectacular sky at night. The hypnotic turquoise mixes blues, greens and metallics to depict flashes of cosmic brilliance within the night sky! Known as the stone of transformation, Labradorite will cleanse your aura and help you to remove any bad habits, negative thoughts and feelings that are preventing you from reaching for the stars and achieving your full potential. 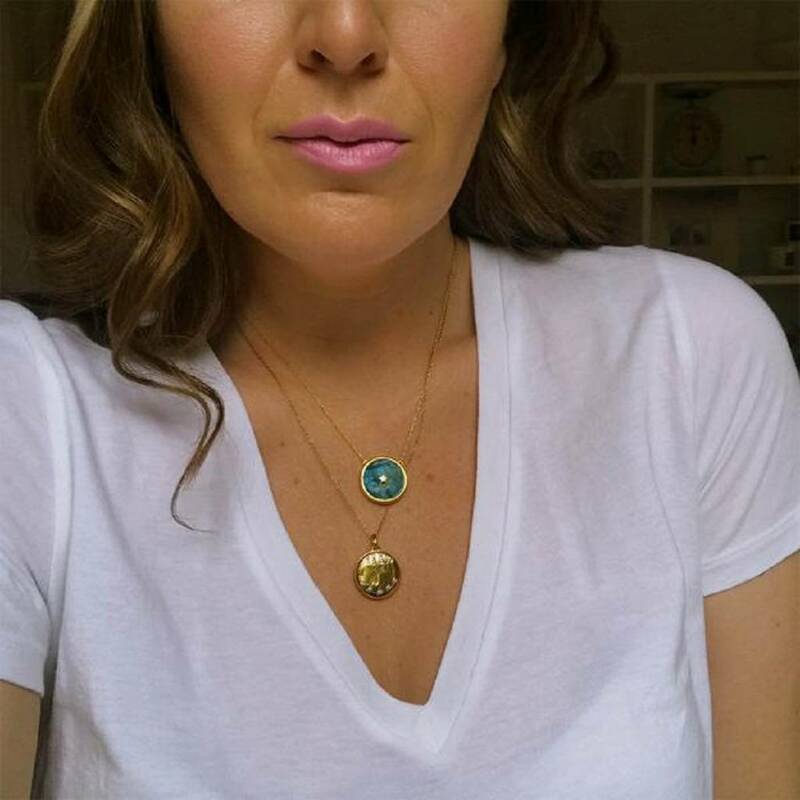 Treasured since ancient times Turquoise never fails to be in fashion. The ancient Egyptians first used this striking bright stone in jewellery and also as a talisman to protect against danger. Today, Turquoise is still believed to protect us from negative energy and bring us good fortune.